As a USPS contract station, the Bennington College post office can make the same transactions as any hometown post office: sell stamps, stamped envelopes, and regular postcards; mail certified and insured packages; provide postage for all foreign correspondence. In addition to USPS Express Mail, the post office can send items overnight via UPS or Federal Express. 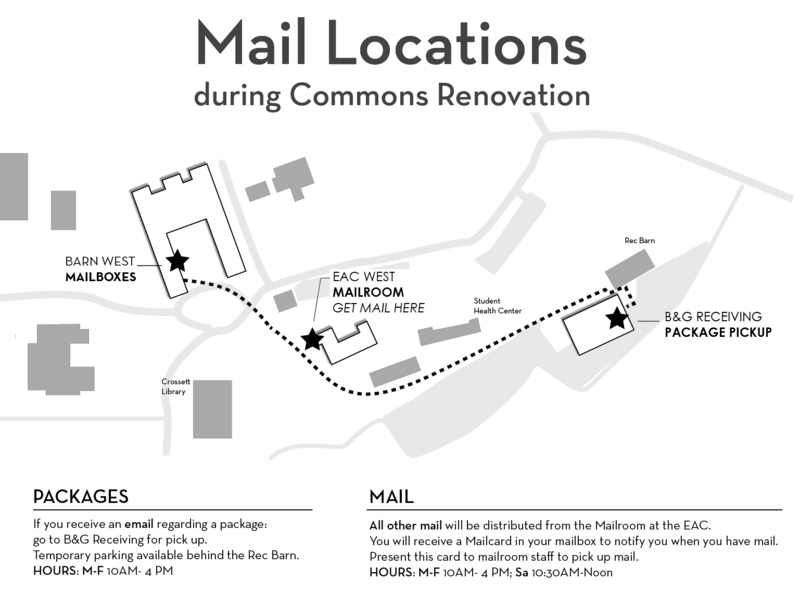 Arrives on campus around 9:30 AM; sorted and placed in mailboxes by noon; outgoing mail must be in the mail slot by 1:15 PM or 3:00 PM, weekdays, and by 11:45 AM, Saturdays. USPS rates. Arrives around noon; notices are placed in mailboxes by 1:30 PM; outgoing packages must be to post office by 3:00 PM for pickup. Trunks and packages may be shipped to campus, if they are prepaid. If you are a new student, please indicate so on the package. We have a fax machine, and charge for both incoming and outgoing transmissions: domestic incoming/outgoing $1.00 per page; foreign incoming $1.50 per page; foreign outgoing $5.00 per page. These may be sent during the post office sales hours. Please be certain that you have the correct outgoing fax number. If you receive a fax, we will put a notice in your box. They must be paid for when you pick them up. The fax number is 802-447-4271.